This is one Caesar all of Rome would have loved! This medium to dark green leafed lettuce is actually a romaine with the texture of a butterhead. Vigorous plants grow quickly and produce giant 16" long by 6" wide heads. A real gem of the garden. Leaves may be picked younger if desired. Grow in full sun to partial shade in average, well-drained soil. Sow seed directly in garden after the chance of heavy frost has passed. As cool season plants, they can tolerate a light frost. Lettuce, Vivian is rated 3.8 out of 5 by 6. Rated 2 out of 5 by kadavis08 from Slightly bitter lettuce I tried this lettuce this year wanting something a bit more substantial than the leaf lettuce we typically grow. I loved the texture but find the leaves to be bitter. We actually went back to buying our lettuce in the grocery and aren't eating it. I won't buy again. Rated 5 out of 5 by PilgrimHeart from Best summer lettuce! Our summers are extremely hot and I cannot grow most varieties of lettuce in the summer months. But, Vivian (old name: Giant Ceasar) is the exception. I plant it in the shade and it grows all summer long. It is tender and tasty. My family's favorite! Rated 1 out of 5 by katland from cabbage-y tasting I'm very disappointed in this variety. It grew well - nearly 3 feet high - but is awful tasting. The taste is cabbage-y and the texture is not crisp at all, again it's more like cabbage. Color is much bluer than in the photo. 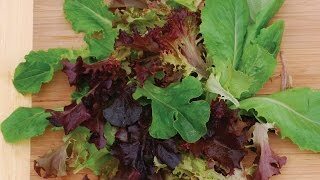 Rated 5 out of 5 by houseofsoup from Wonderful, long-season Lettuce I planted this in late October and began enjoying the outer leaves and thinned plants for a beautiful Christmas Day salad, even after several frosts. We have had continuous harvests since then. 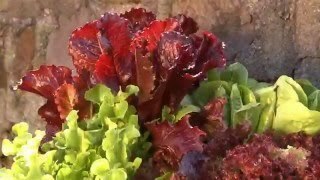 It is April 17, and my heads are showing the first signs of bolting, so I will be harvesting the rest of the crop today--that's four months of lettuce production, and I'm thrilled. The taste and texture are wonderful, much more flavorful and tender than a store bought Romaine. As a matter of fact, I shared some with my parents, and when they bought Romaine after that, they said that it seemed like there was something wrong with it--didn't take long to spoil them!! Vivian will be in my fall garden again. Rated 5 out of 5 by mastersquash from Supremely tasty This lettuce lasted us half of the summer. Granted, we in Wisconsin don't have much of a summer, one that's about 3 months long, but it was still delicious time after time. We took the method of clipping leaves off of it continually, which enabled the plants to keep growing and keep the weeds down. After about 60 days, the plants began to bolt and taste somewhat bitter, but there weren't many leaves on them by that point anyway. Very tasty, easy to grow. Thumbs up. Rated 5 out of 5 by Orggardener from Outstanding in Pots Grew three plants in a 12 inch pot with a lot of compost and was amazed at the size all three grew to. Heads were from 14 to 17 inches with a wide buttery head.